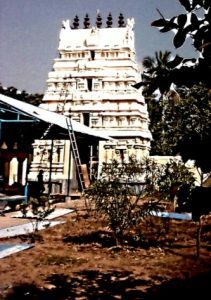 Many may not be aware that besides the main Lord Vaitheeswaran temple (Vaitheeswaran Kovil post, Sirkazhi Taluk) six more Lord Vaitheeswaran temples exist and all are inter related in one manner or the other in respect of temple legend. The word of mouth stories in circulation is that some of the deities in the present Lord Vaitheeswaran temple was originally in Lord Vaitheeswaran temple in a village called Mannippallam, about six kilometers from the main Lord Vaitheeswaran temple in Sirkazhi taluk in Nagapattinam district. 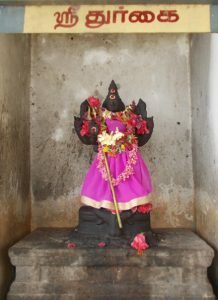 According to the folk lore, senior Lord Vaitheeswaran to the present Lord Vaitheeswaran is seated in a village called Pandur which is a serene village situated 10 km away from Mayavaram where the Mahabharata heroes Pandava brothers took treatment for their ailment. The total population of Pandur village is estimated to be around 2000. 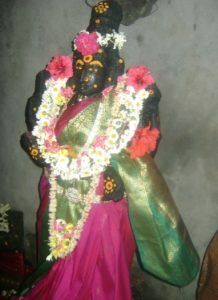 The third Lord Vaitheeswaran temple is in a place called Radhanallur, near a village called Manalmedu. 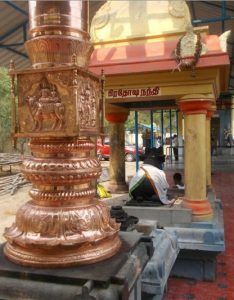 Though it is stated to be centuries old temple, not much detail is available on it except that the temple has Lord vaidyanathar seated with his consort Thaiyal nayagi. 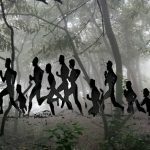 The fourth is reportedly in a village called Vadakarai seven kilometers from Mannippallam temple and is under a tree. Nobody is able to tell the correct location and one has to search it out. Vadakarai is a small Village in Sembanar Kovil Block of Nagapattinam District of Tamil Nadu. 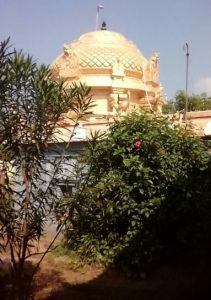 The fifth one is exist in the name of Uthira Vaidhyalingeswarar temple in the outskirts of Chennai. 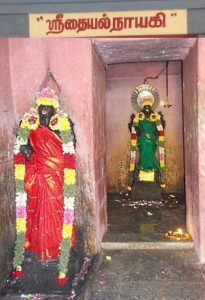 According to the legend of Lord Uthira Vaidhyalingeswarar, those who cannot visit the main Lord Vaitheeswaran temple near Sirkazhi for relief of ailments and removal of Angara dosha can come here and offer worship to get relief as the divines are same. 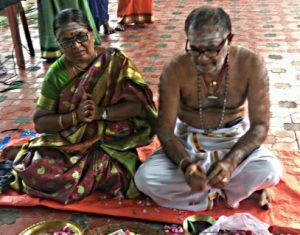 However, those whose tutelary deity is Lord Vaitheeswaran of Lord Vaitheeswaran temple near Sirkazhi, they have to necessarily visit there for fulfillment of prayers. The sixth temple for Lord Vaitheeswaran belonging to 16th century is located in Madavar Vilagam, one kilometer from Srivilliputhur in Virudhunagar district, and all of these temples are in Tamilnadu. 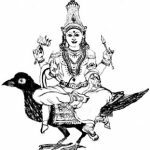 Angaraha dosha (Chevvai Dosham in tamil) caused by unfavorable position of planet Angaraha in ones horoscope may cause several problems in life. It can lead to loss of money, physical injury or even imprisonment. 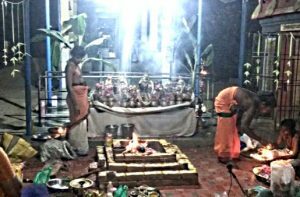 Therefore, Lord Vaidyanathar is prayed and Pooja performed in his temple seeking relief from not only the ailments especially related to stomach and skin, but also the Angaraha dosha (Chevvai Dosham). 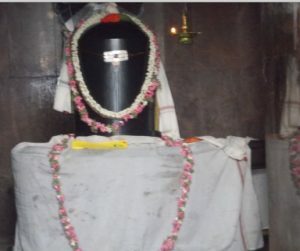 Lord Vaitheeswaran temple in Mannippallam which is believed to be the mother temple of all other Lord Vaitheeswaran temples has very interesting history behind it as per Shri Ramesh and Shri Paramanantan of the same village who struggled hard to rebuilt the ruined temple from its scratch. Both of them reportedly spearheaded the movement to revive the glory of this temple which was originally in an isolated site before it got ruined and its lands illegally occupied by settlers in that village. 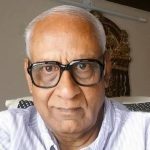 According to Mr. Ramesh originally the village was predominantly a Brahman settlement and even they had a separate cemetery for them. 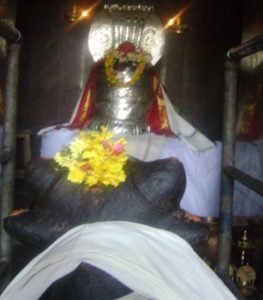 As per the folk lore in circulation on the history of the temple, Lord Dhanvanthri the chief of medicines from devaloga was residing in disguise as a Maharishi in this temple site treating those who visited him to get relieved of their ailments. 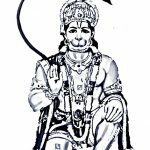 One of the Kings, the ruler of that area wanted to meet Dhanvanthri Maharishi and sent his emissaries to bring him to his palace. The Maharishi politely refused to go with them saying that if the King wished to see him, then the King has to only visit him in the temple site. Angered by the response, the King sent his army and ordered that the Maharishi be killed by throwing him into a burning pyre and they carried out his orders. Alas, the Maharishi came out of the pyre unharmed and continued his work in the same spot. 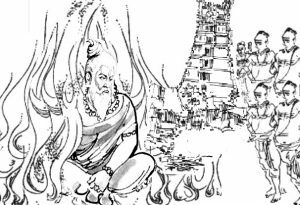 Infuriated, the King ordered destruction of the temple and constructed the present famous Lord Vaitheeswaran temple few Kilometers away from the destroyed temple site in Mannippallam. 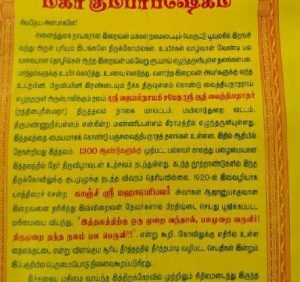 In the year 1920, the then Kanchi Mahaperiyava who passed through the village reportedly took bath in ‘Thaila kuttai’ one of the five water ponds belonging to the ruined temple and took darshan of Lord Vaidyanathar there. Perhaps he indicated that the then statues found there have been installed by the divine ganas from devaloga. Realizing the importance of the 1300 years old temple, which is believed to have been built during Pallava Kingdom, the duo with the help of few locals when initiated its revival, there was hue and cry from another group which did not wish the temple to come up. False cases were also foisted on the persons who tried to rebuild the temple and the laborers who were engaged for the construction of the temple created troubles staying within. In the midst of such chaos, an interesting phenomenon occurred which changed the whole scenario. 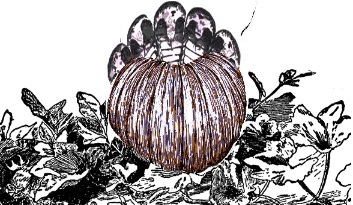 In a house adjoining the temple, a yellow coloured pumpkin (Parangikkai in Tamil) sprang up in a pumpkin plant whose appearance resembled to that of a five hooded snake. When the news spread like wildfire, curious people from even faraway places thronged the area to have glimpse of the rare phenomena and attributed it to divine act of Nagaraj (serpent) and began to offer worship to the pumpkin. Surprisingly the trouble makers withdrew from obstructing to the construction of the temple. The first task for the team was to raise a wall surrounding the temple as suggested by a pundit who indicated that unless a wall surrounding the temple was raised, the temple construction would not go smoothly and rightly as forecast by him they could complete the construction only after the wall began to be raised. Till then they had to face several hurdles and obstacles. 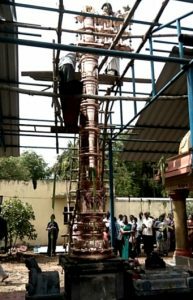 However, the group of dedicated people were able to successfully complete the construction of the temple and perform Kumbabhishekam in the year 2013 after struggling thus for nearly 12 years. 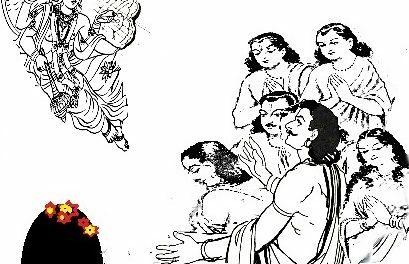 They claim that the entire act of events was the play of divine to show the superiority of Lord Vaidyanathar seated there. Further work is underway to renovate the Dwajasthumbam (Flag post) and other sanctums for housing other deities. 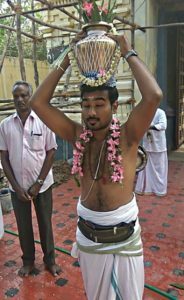 According to Mr. Ramesh, the present temple in Mannippallam is the mother temple to all other Lord Vaitheeswaran temples as those who built new temples for Lord Vaitheeswaran took a handful of soil from Manipallam temple for performing pooja before laying the foundation in the new sites. As per both Mr. Ramesh and Mr. Paramanantan, the temple in Mannippallam is the main one amongst all the other Vaideeswaran temples as per inscriptions found in the temple site in Manipallam as indicated by one Shri Kudavail Balasubramanium, an Archeologist from Thanjavur. The culverts with inscriptions found were not many as many would have been smuggled out or damaged. Therefore the continuity of narrations found them are missing. According to the word of mouth stories in circulation, 1300 years ago the village had a massive Lord Vaideeswaran temple extending to few furlongs on all sides as was seen from the ruins of the damaged temples lying to far away places from the main temple site. When people began to settle in the present village some hundred years or so broken structures and statues of God and Goddess, some of them in broken condition were found scattered in far away areas. The culverts and inscriptions found in the present site by the archaeological department personnel further strengthened their belief that the temple must have been massive. 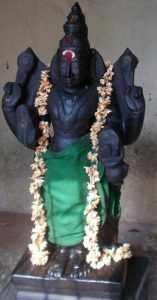 It is claimed that many statues have been clandestinely moved away to far of places like Kerala and some have been taken away by nearby villagers who have constructed smaller temples with those idols. Only those damaged and defaces statues were left lying in the places they were found. One interesting story narrated by Mr. Ramesh was that a person stole the statue of a female deity and when he was on way to his nearby village he met with an accident and his wrist got cut off. Therefore fearing the wrath of Goddess, he threw the statue in the same place and ran away. Perhaps a temple has sprung in that place for Goddess Durga. Initially even the present main sanctum was full of scrolling snakes and nobody dared to go near it. According to Mr. Ramesh the reasons for the damage of the massive temple or its ruin could not be assessed though the research is still underway to find out the truth. 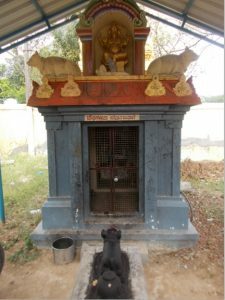 People in the Village strongly believe that main statues from this site may have been moved over to the present Lord Vaitheeswaran temple during the rule of the King who wanted to meet Lord Dhanvanthri and failed. The main entrance to the temple is in a narrow lane from the main road even though the temple premises is quite bigger. 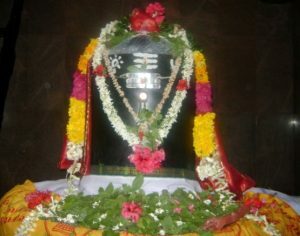 The Shivling in the sanctum is called Lord Adi Vaidyanathar and deeply buried inside. His consort is Thaiyalnayagi and housed in separate sanctum. Separate sanctums for Lord Ganesha is in southwest corner and sanctums for Lord Subramanya (Muruga) and Lord Dhanvanthri are also around the main deity in the compound. Lord Surya and Lord Chandra with Lord Bhairava too are also placed in a thatched roof outside. The sanctum of Lord Adi Vaithyanathar faces east while the sanctum of Goddess Thaiyalnayagi is facing south. 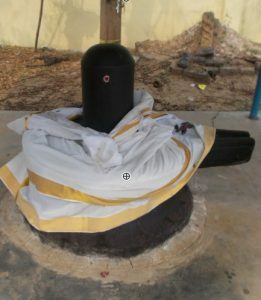 The Siva lingam is of 7 feet in height and 3.5 feet in diameter and it is stated that our shadow will be reflected from that holy Shiva statue when we stand before it. The circular structure below Shivling called Avudaiyar is 10 feet in diameter. Buses plying to Kumbakonam from Vaideeswaran Kovil pass through Mannippallam where the temple exist. However, the frequency is less and hence a taxi or Auto can be engaged to reach out the temple. The details of other Lord Vaitheeswaran temples will follow in the next part.